Anyone getting into my car, front seat or back seat must put on their seat belts. If anyone protests, I don’t drive off or they can get the hell out of my car. Passengers in the back seat often think they don’t need to and ask “why?”, and I tell them it is as much for my safety as it is theirs. I tell them that if I crash the car head on, they being unbelted are going to fly like a projectile into the front seat hitting the front passenger or me. Imagine a person of 180 pounds slamming into the back of your head at 70 MPH! 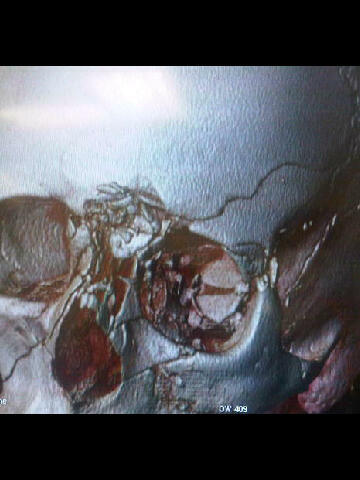 Dr. Sanjay Gupta recently tweeted this image, which is a 3D CT Scan of a person that was unbelted in the back seat of a car and slammed their head into a post of the front seat in a crash. I think I am going to print out this photo and stick to the back of the front seats for anyone that wants to give me grief for buckling up in the back seat. I can’t interpret the CT scan!